The singer, 44, was joined by her mother Lynne and her sons Charley, 14, and Beau, 10, to mark Mothering Sunday. 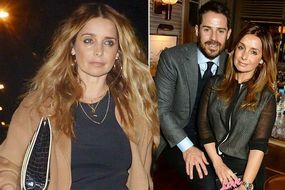 Clearly feeling nostalgic, Louise Redknapp took to Instagram to praise her children, uploading a picture of the pair when they were younger in view of her 615,000 followers. “The best love in the world,” she captioned the snap, which showed the brothers napping in the garden in the sun together. She also shared a clip of the family on their way to lunch together on her Instagram story, filming herself in the back of the car with Beau and her mother. She went on to wish her followers a happy Mother’s Day. Last night, she uploaded a shot of herself with Beau, lying on the sofa ready for a quiet evening in.